Don’t let your Thanksgiving leftovers go to waste! Transform them with one of these delicious dishes. Thanksgiving is only one week away, which means Thanksgiving leftovers are only one week away as well. If you’re like most American families there will be tons of leftovers divvied out amongst the dinner guests, with everyone taking home more food than they know what to do with. Don’t just warm leftovers as-is, though. With just a bit of creativity and a few added ingredients you can keep the Thanksgiving feast going strong long after Thursday. After cooking and eating all day, the last thing you want to do when you wake up Friday is cook some more. The great thing about breakfast foods is there are several options that call for very little prep. This Leftover Turkey and Sweet Potato Frittata, for example, is basically an omelet with leftovers that’s baked in the oven. Even easier is this Cheesy Breakfast Stuffing Cake that’s just two ingredients in addition to leftover stuffing. Not a morning person? No problem! Sleep in as late as you want the day after Thanksgiving and transform your Turkey Day leftovers into a delicious and easy lunch. Use this Thanksgiving Leftovers Nachos, or use it as inspiration and make it even simpler. Or you can use the ever-adaptable quesadilla as a vehicle to use leftovers. Chances are good you had a bit more than you were planning on eating on Thanksgiving and feel a little bloated the day after. 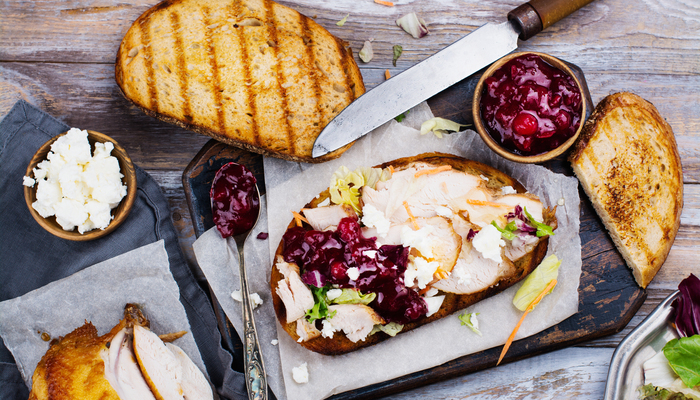 Lighten up your leftovers the next few days and fight the slump between Thanksgiving and Christmas. This Turkey a la Sweet Potato recipe, for example, will keep you fuller longer without weighing you down with too much starchy food. Similarly, lower the carb content and add some veggies with this Leftover Turkey and Stuffing Peppers. How’s your favorite way to use leftover Thanksgiving food? Find us on Facebook and Instagram to let us know!